A committee has started planning my inauguration, which will occur at 2 p.m. on Thursday, April 2, 2015. More details will be forthcoming. I have emphasized, however, that I want the amount of pomp and circumstance kept to a minimum and that everyone on campus feels they are welcome to attend. I intend to take advantage of the ceremony to highlight all that is great about UW-Stout and to discuss my vision of where I’d like us to go in the future. Please feel free to let me know if you have ideas or suggestions regarding the inauguration. Where has the time gone? I just wanted to take this opportunity to wish everyone connected with UW-Stout the happiest holidays possible. I plan to spend time away from campus, recharging my batteries with family and friends. This has been an incredible year for me and my family, and we have so much to be thankful for. I have great optimism that 2015 will be an incredible year, and I can’t wait to share it with our wonderful students, faculty and staff and alumni. This will be the last blog post of the year. The blog will return Monday, Jan. 12, 2015, with another entry. 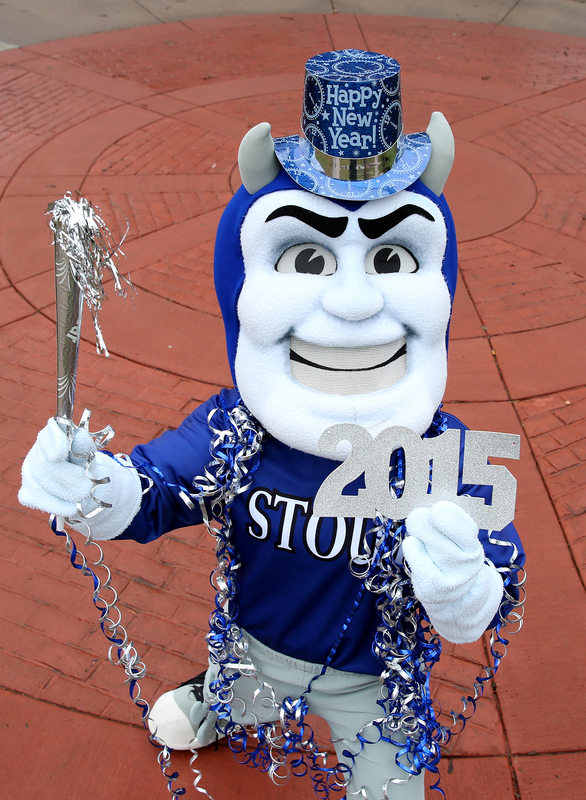 This entry was posted in Events, Updates on December 22, 2014 by University of Wisconsin-Stout.